Pinky's teacher recently became a grandma for the first time and because she has been such a big part of our lives, I wanted to give her something special. Her teacher has visited our house to read bed time stories to the kids before (SO fun! 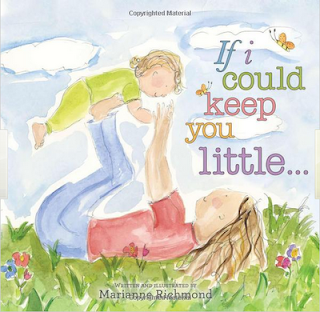 ), so I thought I would give her own "bedtime story kit" to use with her new granddaughter. 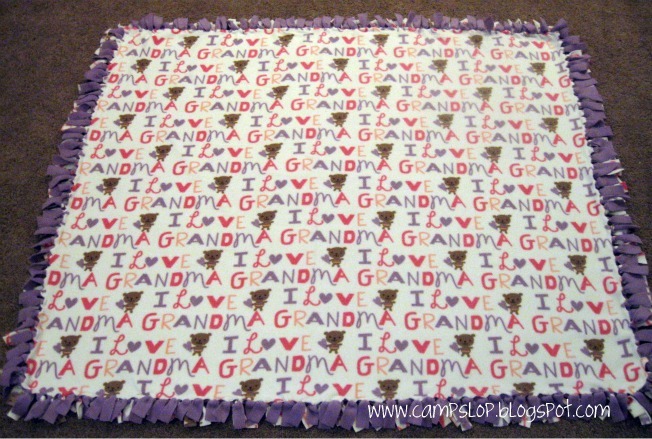 I found a great "I Love Grandma" fleece at the craft store that I knew would be perfect for a tie blanket. I love how it turned out. 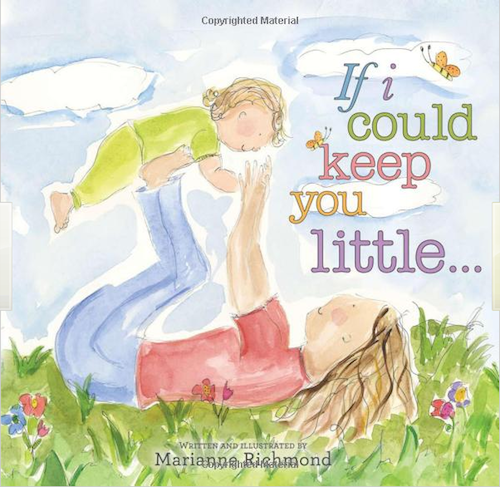 I added in a wonderful book: If I Could Keep You Little by Marianne Richmond (read this one with tissues nearby). 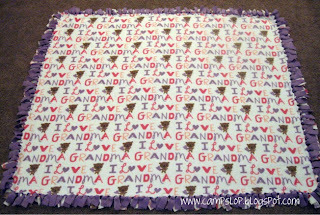 Wrap them up together and she's ready to snuggle with her granddaughter at bedtime! Great idea. I never thought to add a blanket to a book present. I think I'll copy your idea for an upcoming baby shower. What a sweet teacher your daughter must have. I'm sure she'll love the gift!